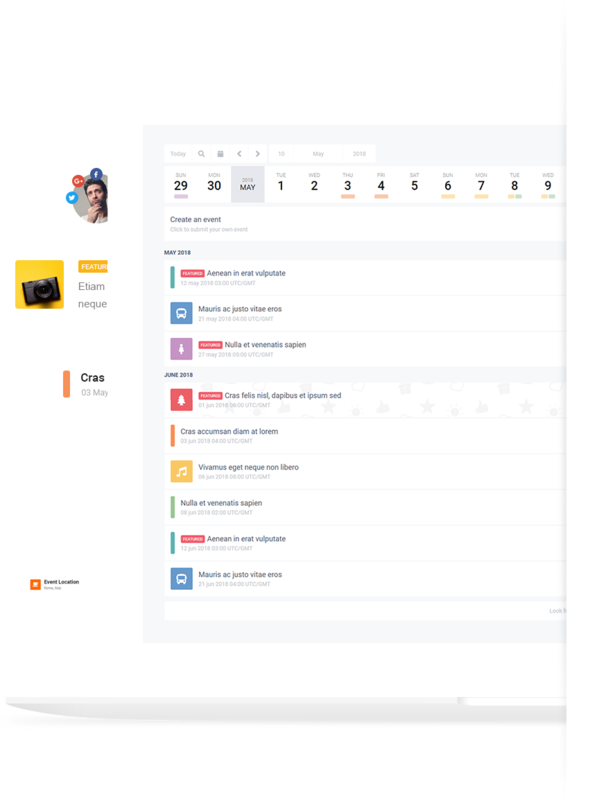 Stachethemes Event Calendar is one of the top selling WordPress Calendar plugins on Envato Market developed by an Elite Author! 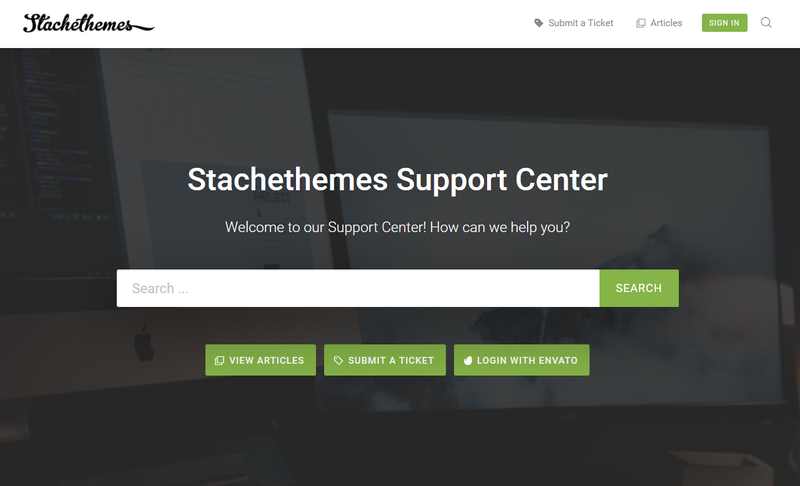 Two years and over 60 updates the Stachethemes Event Calendar keep growing with new features and improvements! If you have any problems or have a question dont hesitate to contact our customer support! There are no extra payments! Once you buy the plugin all future updates and improvements are 100% free! "It's even more then 5 stars for support! Plugin author gave an incredible help at solving my issues. And the solution was presented within a short time too! I am more than happy with this service and with the plugin as well! Great Arsenal of Awesome Features! The Stachethemes Event Calnedar come with many usefull features ready to use! Link & Share your events with social media, friends or clients! Let your website users to submit events from the front-end! Sell items directly from your events! Update the plugin with the newest version with single click! Stachethemes Event Calendar is Mobile ready! Import, Export and Sync .ics files! The calendar is packed with 6 different views! Our plugin is Multi-site ready! Change any color or font! "I hardly ever leave reviews, but this plugin really deserves 5 star. it's packed with features that many other premium events plugin either don't have or want you to pay a limb to have. talk about multiple calendars, event import, event import cron, css customization options, to name a few. the support is also great. Go ahead and get it." The plugin documentation is here to help you understand how the plugin work and how to you use it! Check the plugin requirements to be sure it will work normally on your website and host. This article will show you how to install & activate the plugin. Learn how to display the plugin on the front-end. See all shortcodes options and how to use them. Learn how to update the plugin. Old and Latest versions. Learn how to create events and add the content for it. Feel free to contact our customer support any time! How to contact your customer support? We are trying to create best WordPress plugins as possible and improving the code and design quality all time. Still sometimes problems may occur. To contact our customer support you can use our new Support Platform or use the mail form in our Envato Profile page. How soon I can expect an answer? We are trying to answer everyone soon as possible, but keep in mind that it may take 1 to 2 days. We are located in Bulgaria and our Time Zone is GMT+3. What you may need from me? To better understand your problem you may attach screenshot or link to the site so we can investigate the problem first hand. If the problem is more serious (like website or other plugin conflicts) we may require from you temporary wp-admin and FTP access. Dont worry, your data will be safe with us. Stachethemes is a very small company based in Europe and for past 6 years on Envato Market we have made over 14 000 customers, made it to the Hall of Fame and recieved the badge of Elite Author! Many things have changed for that time, but not and our goal to design and develop high quality WordPress plugins and services for our clients! If you have any questions feel free to contact us here! Made it to the author’s Hall of Fame! Had an item featured on Envato Market! Became a top 20 Author of the Month! Had an item that became weekly top seller! Contributed a free file of the month! Has been part of Envato Community for 6 yers!